Nowadays, the demand of customers is not just choosing a sample on site and order it for their printed T-shirt. Customers want those printing products to bring their own style, be unique to the crowd, so uploading their own files for printing is a great choice, right? Thanks to the advancement of technology, with Order Upload, we do not have to upload files one by one, we can upload multiple files at the same time. 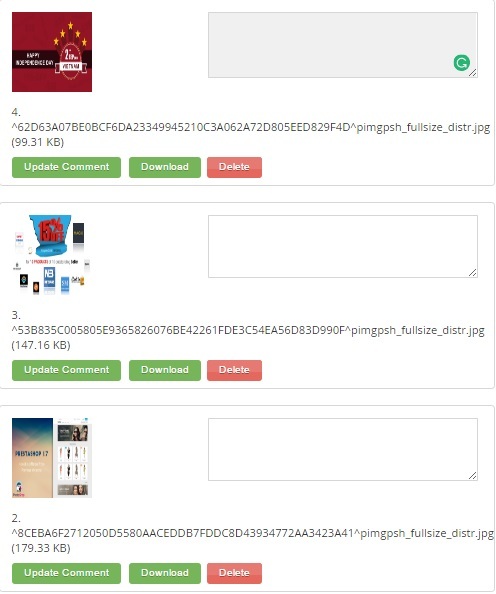 Uploading files directly right on product detail pages: When consumers place an order for a product, without going to other pages, they can bind or upload files into their desired products right on product details pages. Setting max file size: Going to the back-end, shop owners can limit the size of upload files easily. Ultimate responsive: It is undeniable that responsive web design is never out of date, this feature will be really helpful if you want to gain profits from smart devices users. Adapting to all products: All Magento products such as simple, configurable, downloadable, etc. will work well with this Magento 2 extension. Uploaded files are displayed on the view cart page: After clicking add to cart, if products have upload files, you can see it in view cart pages. Managing files in Order Management admin panel: All uploaded files will be managed in admin panel and shop owner can know each uploaded files/images will correspond each product in the same orders/ same buyers as well as download them. Multi-stores supported: You can use this Magento 2 order upload extension for all stores, you can set up freely as you wish.